The debut of Agent Carter on ABC is now less than one month away. The eight-episode mini-series has fans of the Marvel cinematic universe excited - and for good reason. It follows up on one of Marvel Studio’s best films to date, Captain America: The First Avenger and is filling the mid-season break of the much-improved second season of Agents of S.H.I.E.L.D. In anticipation of the series, Marvel Comics has published a collection of many of Peggy Carter’s appearances in comics. Looking at that collection, it’s plain to see that there are plenty of reasons beyond the success of Marvel Studio’s to be excited about Peggy Carter’s adaptation to the small screen. This one may already seem apparent. Hayley Atwell already showed what an incredible character Peggy Carter is in Captain America: The First Avenger. Under Joe Johnston’s direction, her role became far more than that of love interest. She was the person who was most capable of challenging Captain America and pushing him to become the iconic hero he is at the end of the film. Peggy is Steve Rogers’ peer and trusted friend. Atwell’s performance blended battle hardened resolve and will with a wonderfully understated sense of humor and compassion. There’s no doubt that Atwell in this role is going to be enjoyable to watch. Carter was only part of the supporting cast in the film, though. On television Atwell along with the series’ writers and directors will be able to dig further into her character and motivations. 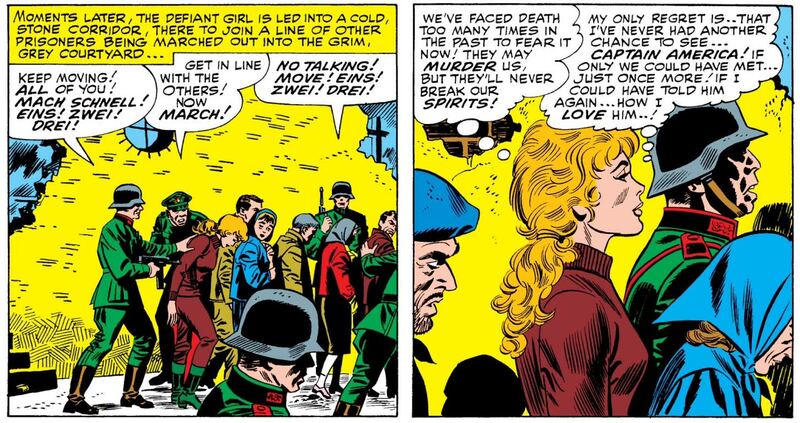 Even in her earliest appearances in Tales of Suspense, Carter was a determined freedom fighter unwilling to retire or flee from a fight. She was a master of spy craft and looked at no ally or enemy as her better. That influence is in the film, but now we will have a chance to see Peggy return to her roots as a more active combatant and leader. Peggy Carter has slugged it out with Captain America’s greatest foe, the Red Skull, in comics already. Although it’s very doubtful that Hugo Weaving will return for the television series (okay, just not going to happen), there are plenty of other opportunities for classic Captain America villains to appear. Hydra’s motto, “If a head is cut off, two more will take its place,” is very true in comics. 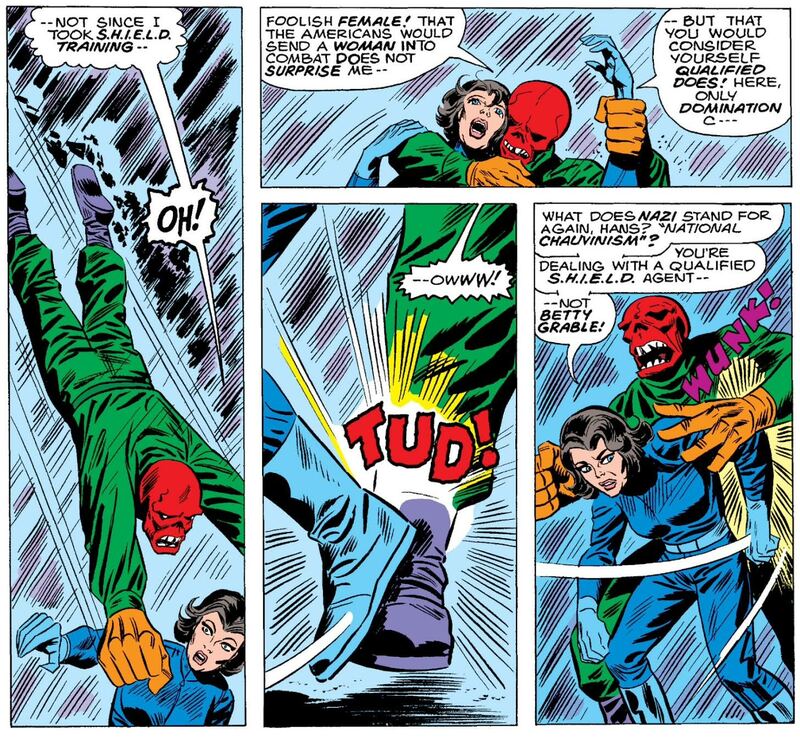 Red Skull has a long history of being cloned or having his name and fearsome appearance used by successors. Albert Malik, a Russian version of the Red Skull from Captain America Comics #61, could play into the Cold War setting of Agent Carter. Hate-Monger, another classic Cap foe and clone of Adolf Hitler, would also play back into Carter’s World War II origins. Arnim Zola played by Toby Jones may make an appearance as well, since it has been confirmed he was part of S.H.I.E.L.D.’s inception. There’s no reason to restrict the series antagonists to those related directly to the film, though. There are a bevy of classic villains who would be perfectly at home in the series. Doctor Faustus and Baron Zemo would both make for excellent nemeses. There is also the possibility that Kevin Feige’s joke about the third Captain America film being titled “The Serpent Society” might have actually contained a grain of truth. The nefarious group of villains each with a snake-based super power would provide a diverse group to face off against Carter and her allies. Captain America: The First Avenger helps bring the various conflicts of World War II to a close, leaving Agent Carter set in 1946. It is a period of reconstruction, but also the origin of the Cold War - only one year before the creation of the Truman Doctrine. It is a time in history defined by secrets, arms races, and small surrogate wars. There is no more potent period of history to set a spy thriller. Many of Peggy Carter’s earliest appearances in comics are based in the 1960s in which Captain America comics were much more focused on the “Red Menace” and spying than they were on soldiers and land wars. The Americans on FX has used the paranoia and secrecy of this period to craft one of the best shows currently on television, but has set itself at the conclusion of the conflict under the Reagan administration. Agent Carter can make use of the same tone and ideas, but set them in a different period. The show is likely to share a costume and set aesthetic closer to another successful period piece, Mad Men. The return of American fashion after World War II and classic East Coast settings provide a time and place with an exciting visual feel. It has already been confirmed that Dominic Cooper will return as Howard Stark. This time Edwin Jarvis, legendary butler to Avengers Mansion in the comics, played by James D’Arcy, will accompany him. It’s also possible that some of the Howling Commandos from Captain America like Dum Dum Dugan and Gabe Jones may return. The beginning of S.H.I.E.L.D. also opens the door to innumerable agents from the comics. Roger Dooley will be overseeing Carter in the show, his name comes from an agent who replaced Dugan in the agency’s hierarchy and was killed while targeting She-Hulk. It’s also possible that the series may take advantage of many of the lesser-known heroes from the World War II era of Marvel Comics (which went by the name of Timely Comics when most of these characters were created). Even in the 1940s, Marvel published a large number of superheroes that banded together as The Invaders to fight Hitler. Better-known characters like The Human Torch and Namor, the Sub-Mariner may not appear, but there are lots of other options. 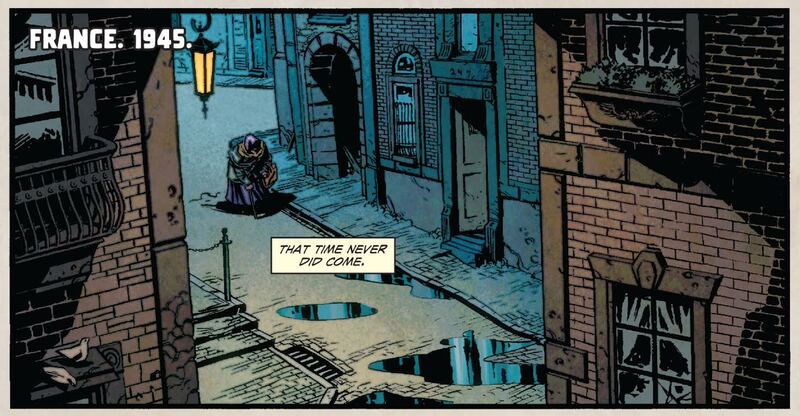 Union Jack, a vampire-hunting British hero of the era, would be easily adapted into a spy story. The Thin Man, a stretchy superhero from World War II, is an acclaimed spy in the comics as well. There are plenty of Invaders to bring a superhero spin to Peggy’s adventures. Peggy Carter was not invented for Captain America: The First Avenger; she first appeared in Tales of Suspense #77 in 1966 where Stan “The Man” Lee and Jack “King” Kirby created her. While Lee has lived long enough to see many of his creations become massive Hollywood successes and has been given the opportunity to appear in most of their films, Kirby has been denied this recognition until recently. “The King” passed away in 1994 and his name has not been associated with the majority of his works adapted to film and television. That changed earlier this year when Marvel and Kirby’s heirs settled the court case. Although the terms of the settlement were not disclosed, Kirby’s name has begun to appear in comics and adaptations featuring his creations. 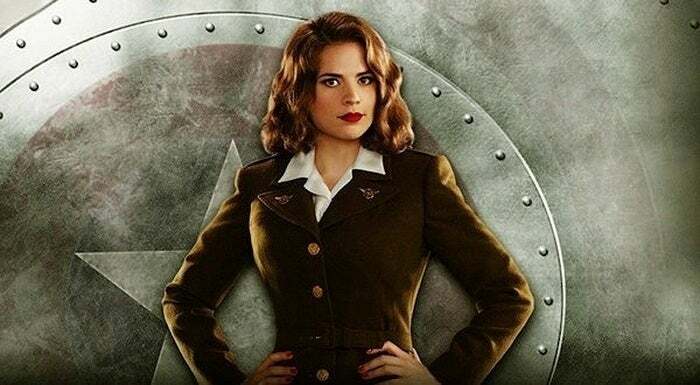 All of the reasons to get excited about Peggy Carter listed above, from the great allies and foes to Carter’s exciting character to the spy-centric nature of the story, can all be attributed to Kirby. So many creators have helped to shape the comics that inspired this series, but Kirby was the started it all. There are plenty of reasons to get excited about Agent Carter in January. Peggy Carter is a great character surrounded by colorful allies and enemies set in an exciting period of American history. All of these ideas are coming from a wealth of comics lore written over the past fifty years, well worth checking out before the series premieres on January 6, 2015. Many of Peggy Carter’s adventures have been collected in Captain America: Peggy Carter, Agent of S.H.I.E.L.D. available on Comixology and at your local comic book store.